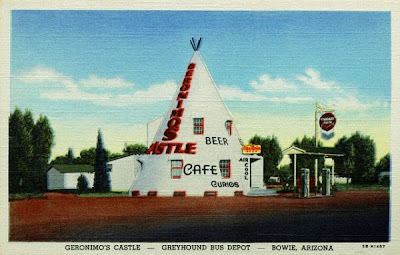 In the tiny town of Bowie, Arizona is a large teepee known as Geronimo’s Castle. In the 1940’s it was a Greyhound Bus Station, and later had a café and shop within its atypical walls. It was also once a filling station, and a bar with the motto, “Stop in for a bottle of beer”. 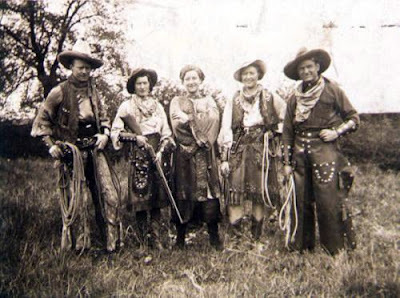 Accounts are told that Chief Geronimo was captured on that site, but history tells another story. Sadly, the place closed its doors in 2004 and is now an abandoned place worth seeing. The owners are hoping to someday reopen the establishment and serve all the weary visitors traveling through Bowie. Throughout the state of Arizona, there are several ancient Native American ruins built in the cliffs of the rocky mountains. They were constructed in the 12th century and made of limestone, mud, or other various materials found in the region. The cliffs offered protection from all the dangers surrounding the settlement. Many of the dwellings are remarkable well preserved and worth a visit. I wrote this four years ago with the title, "It Was All They Knew". In honor of the coming hot summer months, I thought I would post it again for those who missed it the first time.